The common “Keep It In the Ground” movement claim that “peak oil” demand is imminent was thoroughly debunked by a pair of International Energy Agency (IEA) reports released this week. IEA announced in one report that global oil demand and production crossed the 100 million barrel a day thresholds for the first time ever in the third quarter. 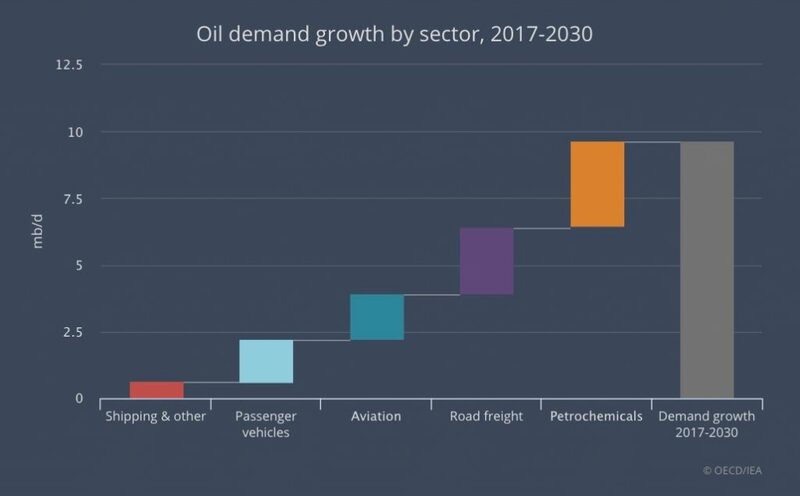 And not only does the agency note in the report that, “There is no peak in sight for demand,” IEA forecasts in another report that global oil demand will grow another 9.6 million barrels per day from current record levels by 2030. “Petrochemical feedstock accounts for 12% of global oil demand, a share that is expected to increase driven by increasing demand for plastics, fertilisers and other products. Further, the growth in petrochemical products will also help reduce emissions in other sectors, according to the IEA. For instance, chemical products can be used to improve the thermal performance in buildings, improve efficiency in construction, and lightweight vehicles – all of which will lead to greater energy efficiency.